People who have to deal with health issues either have to refrain from drinking coffee or compromise their health. Oftentimes, it is the latter that happens. Most of us are inclined to choose what feels good at the time and deal with the consequences later. Hence, coffee shops mushroomed everywhere with Starbucks amassing the biggest revenues. Mr. Chua is marketing savvy and he saw the potential of the coffee business as a booming market. But he did not want to market just any coffee. He wanted to provide a healthy alternative for millions of coffee lovers around the world. Haven’t you ever heard that necessity is the mother of all inventions? Well, this line just fits the Organo Gold story to a tee. Mr. Chua saw the need to come up with a coffee product that is not only delicious but healthy as well. Thus, Organo Gold Coffee was born. The idea caught the attention of the world. Ganoderma, a mushroom species known for its many health benefits, was infused into the coffee resulting in an in invigorating and delightful beverage. This clever combination now allows coffee lovers to enjoy sipping their coffees without worrying about coffee jitters, acidic tummy, dehydration and all other bad effects associated with drinking coffee. Aside from that, Ganoderma in itself is a good source of antioxidants and an excellent immune system booster. With Organo Gold, enjoying your coffee has become guilt free and a real pleasure. Read more about the health benefits of Ganoderma here. Bernardo Chua, however, did not stop there. Aside from providing improved health to coffee lovers, he also envisioned building a business that would benefit not only the founders but everyone who was interested in joining the organization. Hence, instead of going through the normal route of selling it at retail stores, the distribution was done through network marketing. This business model allows anyone, even those with no prior sales experience or those with little savings to build their own coffee business through the company’s marketing system. Providing generous commission schemes, where distributors get paid numerous ways both weekly and monthly, along with the high-level coaching and mentoring, helps both the individual and the team to meet their goals and be rewarded for the efforts of all. Today, Organo Gold’s presence is felt in many countries including USA, Canada, England, Spain, Italy, Australia, New Zealand and The Philippines to name but a few, as it continues to help people become successful entrepreneurs. Independent distributors, who are now enjoying huge incomes because of this business, are truly happy they decided to join this remarkable company. 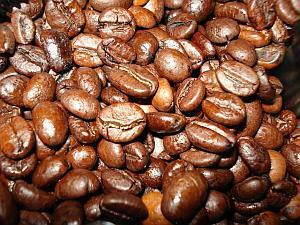 But still, the coffee market is insatiable and the prospect for growth is great. The future is certainly bright for Organo Gold and its business associates. It is becoming the business that is changing so many people’s lives. Make sure you check out some of their Ganoderma coffee and tea products here.